As we all gear up for back to school and the busy fall season H-E-B and ConAgra Foods thought they would help give Moms (and everyone else too!) 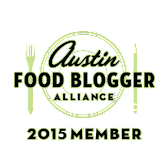 some quick and delicious meals.Each week we have a featured ingredient and 10 Texas bloggers each came up with their own meals centered on the featured ingredient. The only requirements were less than 7 ingredients and under 30 minutes. 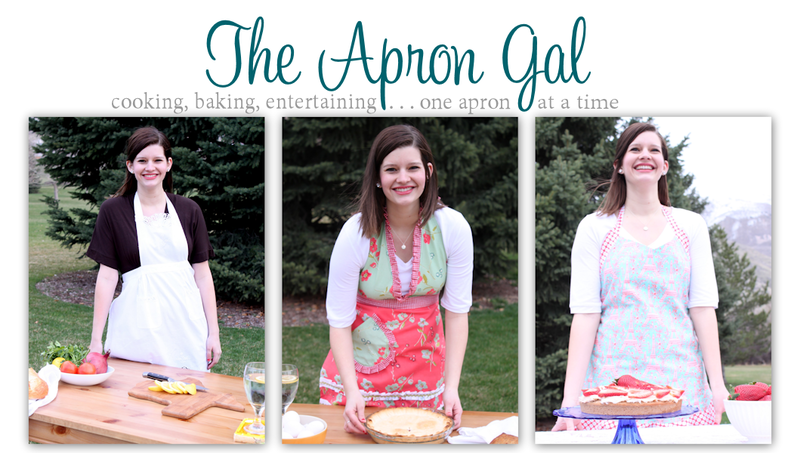 I am so lucky to be featured with some fabulous ladies and I can't wait to try their recipes too! Not only will you be getting great recipes from me for the next 5 weeks but you also have a chance to win up to $1,500 in prizes from H-E-B simply for pinning my recipes each day during the challenge. 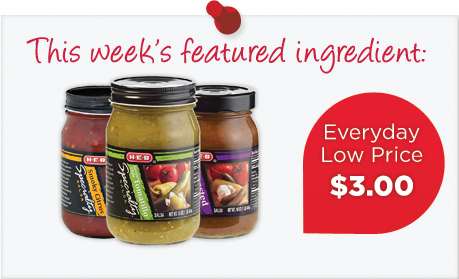 To learn more, visit heb.com/meals. Have I mentioned that I have loved having someone pick out an ingredient for each meal for me? I wish I had that every day! It's like being on Chopped! It was so fun trying to create something unique other than just tacos or my go-to Tex Mex recipes! This week's ingredient was H-E-B's specialty salsa that come in 3 flavors: Roasted Taqueria, Tomatillo and Smoky Citrus. I chose the Roasted flavor but feel free to try all of them! I thought adding the salsa as the liquid to pork meatballs would be a great way to add both moisture and flavor. The roasted salsa was a great addition of flavor without being totally overwhelming. And I have to say, I think they turned out great. My husband couldn't stop eating these for days. He kept sneaking them as snacks and gladly took leftovers for lunch 2 days in a row! Winner all around in my book. Be sure to top with the fresh cilantro as it really brings a little freshness to the dish. Of course, these only call for 1/2 cup of the salsa so you can definitely use the rest to serve over tacos, taco salad, or just to eat with chips! Be sure to vote for my recipes each week for YOUR chance to win great prizes as well as help me win! I'll be forever grateful! Visit heb.com/meals daily to pin my recipe and enter yourself (and me!) into the contest for $1,500 worth of prizes! **You must pin directly from heb.com/meals for your chance to win, not from this blog post. Sorry! Cook the chorizo over medium high heat until cooked through-around 10 minutes. While the chorizo is cooking, combine pork, onion, egg, salsa and 1/2 cup bread crumbs and preheat the oven to 400 degrees. Once the chorizo is finished cooking, drain on a paper towel lined plate. Add the drained chorizo to pork mixture and shape into balls. Place the remaining 1/2 cup of breadcrumbs in a small bowl, coat each meatball in additional breadcrumbs before placing in mini muffin pan. Bake meatballs for 15-16 minutes, set on paper towels and cool slightly before serving. Top with chopped cilantro and serve over rice. Serve with additional salsa for dipping if desired.